Not valid with other specials or during encore’s Wilmington Restaurant Week. Only one per ticket. No cash back. 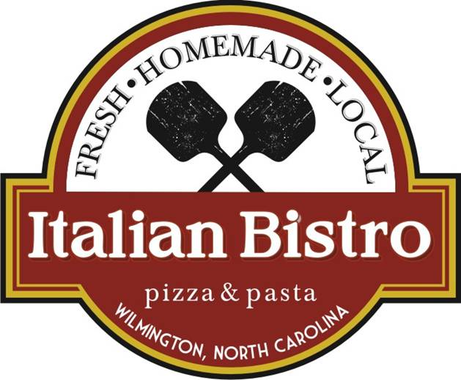 The Italian Bistro is a family owned, full service Italian restaurant and pizzeria located in the Porter’s Neck area. We offer a wide variety of NY Style thin crust pizza and homemade Italian dishes seven days a week! At The Italian Bistro we strive to bring our customers a variety of homemade items that are made with the freshest, local ingredients. Every pizza or entree is made to order and served with a smile from our amazing staff. Our warm, inviting atmosphere is perfect for “date night” or “family night.” So please come join us so we can show you why Fresh, Homemade & Local is part of everything we do. Open Sunday-Thursday, 11 a.m – 9 p.m., Friday and Saturday 11 a.m. – 9:30 p.m., Sunday Brunch 10 a.m. – 2 p.m.